Over the next few days, I will be blogging live from what I consider to be the mecca of money and the military, USAA. I think that the only bigger or more important place to discuss military money issues would be the Defense Finance and Accounting Service (DFAS) offices. I’m still waiting for my invite to DFAS headquarters. But, until then, I am extremely excited to visit USAA’s company headquarters in San Antonio, Texas. 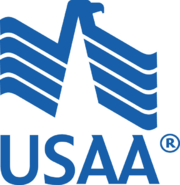 Most of you know that USAA is an all-encompassing financial services firm that is dedicated to serving members of the military, veterans, and their families with a wide range of products from banking, investments, insurance, financial planning, and tons of other financial products. This week, I have been invited to USAA’s headquarters in San Antonio with several other military and money bloggers such as J Money from BudgetsAreSexy, Ryan Guina from Cash Money Life, Brandy Woodley from Army Wife Magazine, Wendy Poling of My Military Life, Dan Kissinger of Military Avenue, and several others. The group is traveling to Texas to learn more about USAA and its programs, financial products, and services. 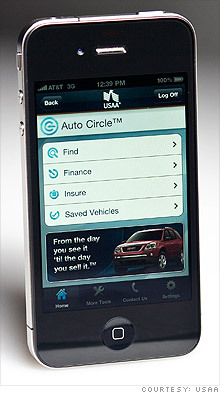 In fact, USAA is launching a mobile iPhone app to complement its successful car buying experience. How would you like to find, finance, and insure your next car purchase with the touch of your Apple iPhone? It’s coming! You can check out CNN Money’s story on USAA’s new iPhone App. If you have any questions or comments you would like me to possible express on your behalf to USAA and their staff, send them to me at militarymoneymight[at]gmail.com, and I will do my best to get them answered over the course of my trip. Previous post: What Happens When The Thrift Savings Plan’s 2010 Lifecycle Fund Rolls Over?